Everyone dreams of spending their summer holidays in the best way possible. To achieve this, one has to take care of each detail. For instance, when we arrive at the desired destination, mobility is one of those important details. If we anticipate and plan everything right, then there is a great chance of having fun and saving as many inconvenience as possible. That is why we must necessarily think about the option to rent a car. This is far from being the expensive and unaffordable comfort that it was in the past. Today there is nothing more simpler than renting a car. At the receipt and delivery of the vehicle, a protocol is followed, the conditions are clear and the prices are more than affordable. The summer heat drains us to the limit. This proves to be negative not only for the mood, but also for our health. This is true even for people who have no problems or complaints. While you are comfortably sitting on the seat of your rented car, you will enjoy your journey in excellent air conditioning. Just imagine how it will fell without it. Instead of enjoying the cool summer heat, you might be struggling to find a shadow at a railway station or bus station waiting for the bus and praying for it to not be crowded. Time is the most valuable resource we have and as much as we want, it is not unlimited. 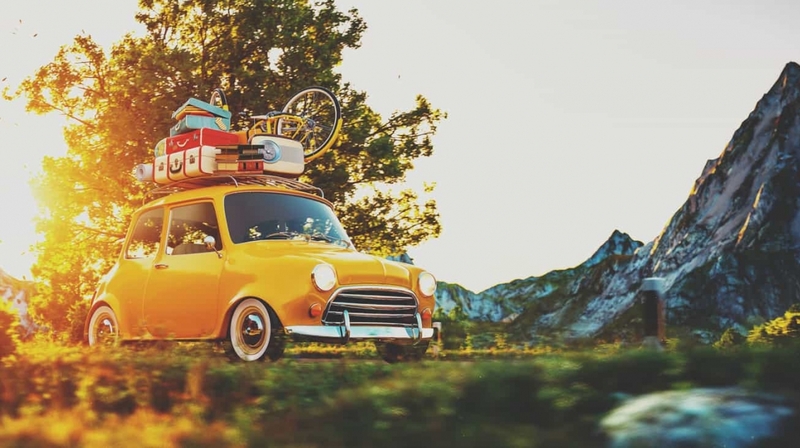 In order to not waste moments during the summer vacation, renting a vehicle is the best solution. Having a car allows you to get behind the wheel at the moment you decide you want to visit a landmark and you will not have to spend minutes and hours waiting for the schedule. According to experts, for a 7-day vacation, we spend about 2 days trying to get from one place to another while trying to fit into some schedules. According to experts in the field of tourism, about 20-30% of the sights of an average European city are located outside the border of the settlement. The problem is that in most cases these are the places that are worth seeing the most. Castles, old wineries, waterfalls, torn beaches, nature reserves - surely you won't find all of them in the city center. Hiring a car will allow you to take advantage of the opportunity to visit everything that's really worth it without considering anything. Many Europeans take uncomfortable long journeys in the summer simply because they want to have a car when they reach their ultimate goal. How much more convenient would you be if you are traveling to the chosen destination by airplane, and then simply rent a car. This will save you hours of uncomfortable travel so you can get to your destination quickly and comfortably and the car will be waitinfg for you at the airport without any problem. If you decide to travel to Italy - for example with your car because you will be able to visit different places with it - then consider the other alternative. Why don't you take the plane instead, and then just rent a car after you arrive? This way you can choose a much more suitable vehicle by location. Not all conditions are appropriate for the same vehicle type. In the big cities, mini-cars are more suitable, and outside the populated areas, if you plan to visit rural areas and wine-growing areas, then it is preferable to have a 4x4 car.